Happy Friday everyone! I hope you are all having a great day so far! 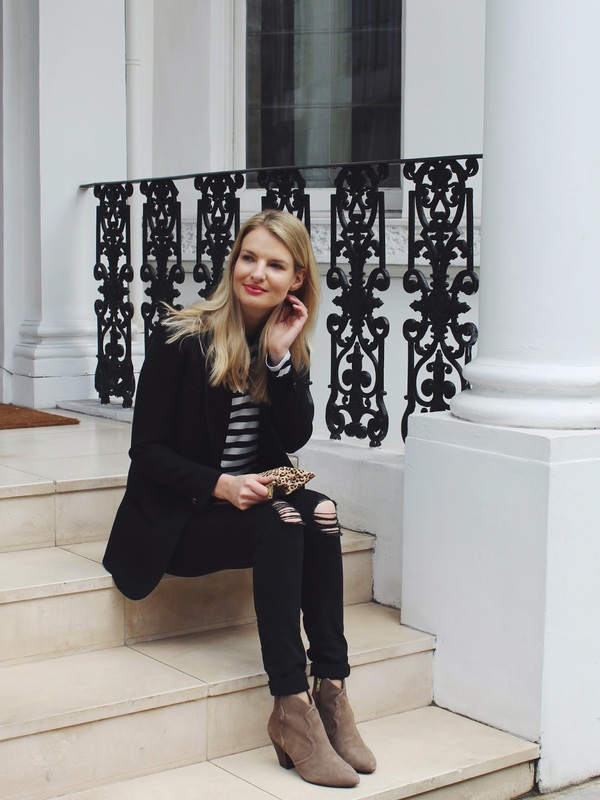 In recent weeks I've been more focused on wardrobe staples and this post includes again some of my wardrobe saviours. I hardly ever used to wear all black outfits but I really have to agree with the saying: "If you don't know what to wear, wear black". 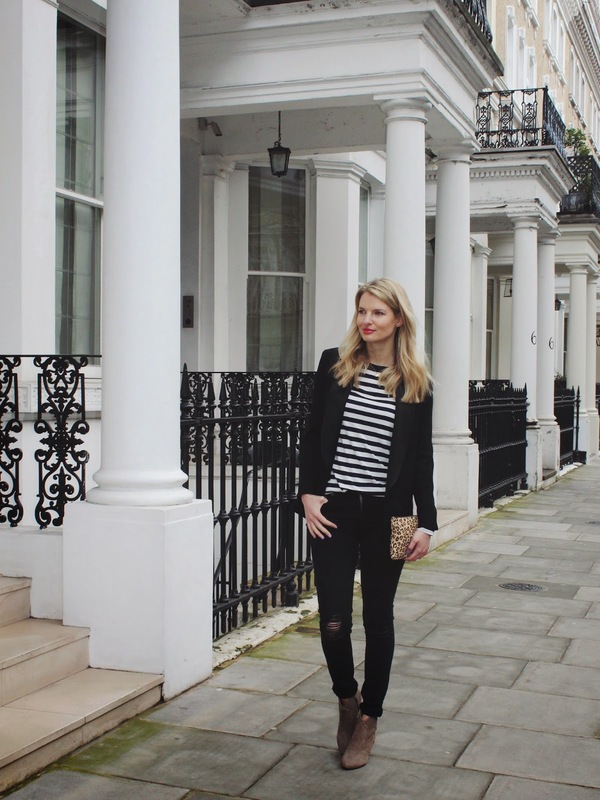 This is the reason why a black blazer and black skinny jeans are my ultimate wardrobe staples and the striped tee just makes the look seem a little more 'effortlessly chic'. When wearing all black I find it very important, not to forget about the accessories. I've added my Ash Gang Booties and leopard print clutch to lighten up the look. Love it! Such a perfect chic everyday outfit - I would LOVE to wear this! I love the touch of leopard print! Wie wahr, Schwarz sieht einfach immer chic aus! Supercooler Look!